Yeah...I have made another February desktop calendar. Honestly, I just wasn't happy with the earlier version even though I loved the pale flower design. After working on this drawing last night, I knew that it was perfect. 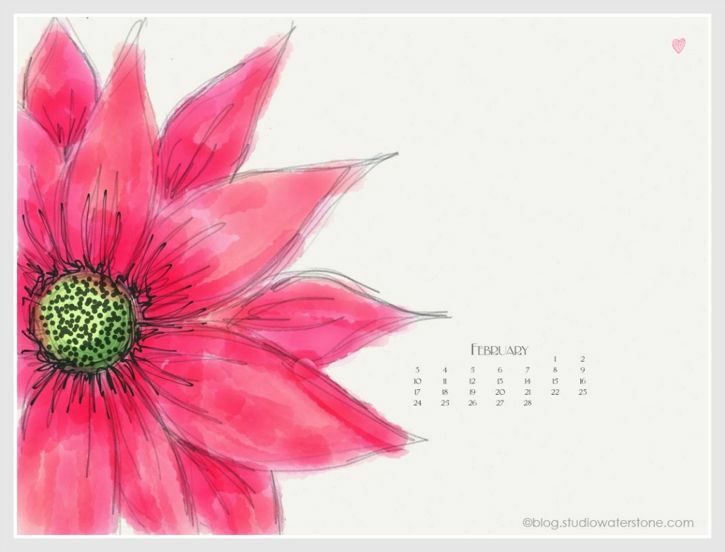 It's fun and has lots of bold, rosy pink - ideal for February.